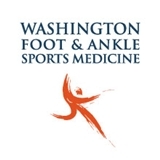 Washington Foot & Ankle Sports Medicine (Kirkland) - Book Appointment Online! We believe our patients deserve to have the information needed to make good choices about their foot and ankle care. Our goal is to educate each patient and begin a relevant treatment program with the highest quality of care available. Whatever your foot and ankle trouble, we’ll work together to find the answers that will comfort and bring you relief. We take pride in providing you with a comfortable office experience. Our qualified staff is friendly and will ensure a pleasant visit. Our office is conveniently located in Kirkland, WA. We invite you to call our office with any questions. Dr. Maurer makes time for his patients and takes time when we are in the office. When I broke my foot, I had a response from his office within 30 min and was scheduled to see him immediately. I'm a runner and was referred to Dr. Maurer by people within the elite running community. He is known to these athletes for a reason and (two surgeries later) I too would recommend him wholeheartedly.